The Search function is one of the two main ways by which to segment your database. Searches can be performed on People, Houses, Streets, or Groups. 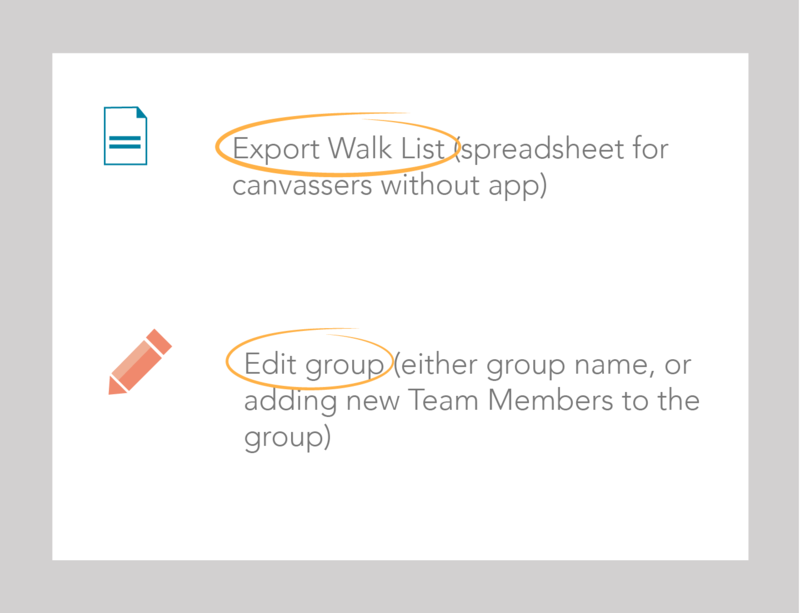 review any recent activity, including canvas information, or any issues arising. Selecting an individual Street will display all records of Houses on that Street, though individual records cannot be entered from this page. 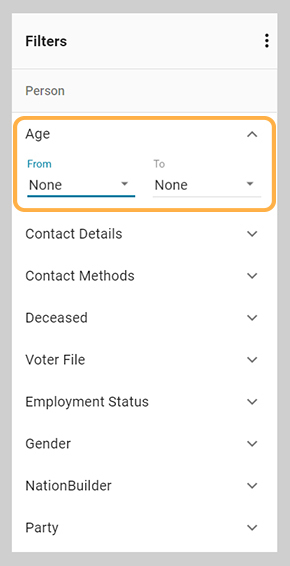 The Filter function is similar to the Search function, in that it allows us to segment our voter database. 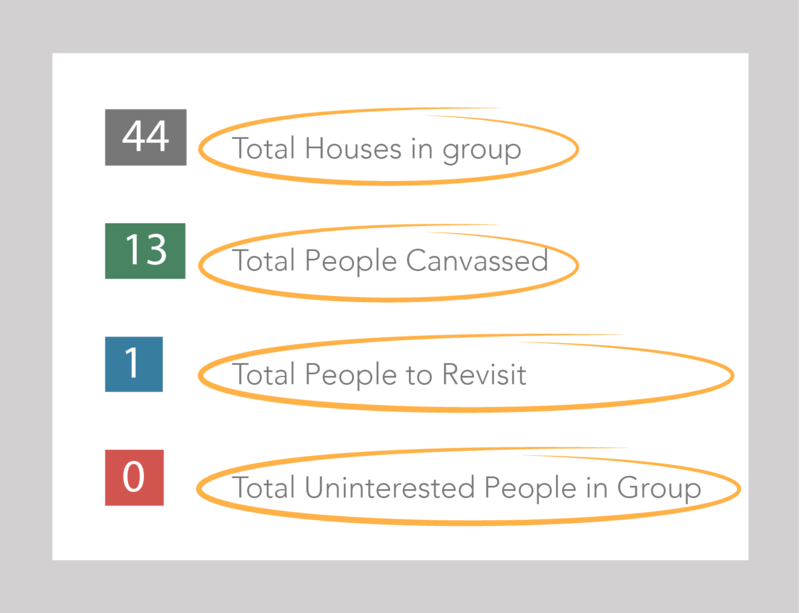 This information is dependant on the information imported from our Voter File (or NationBuilder), and that which has been recorded by our live canvassers, or back office staff. Be sure not to miss the scroll bar down the right hand side! Person: allows us to filter based upon various personal details; of particular note are Group, and Volunteer. Canvassing: this relates to various matters which may have arisen regarding the canvass: has the voter been canvassed; were they surveyed; the general reception; etc. House: filters based upon the accuracy of the files geocoding; precinct; ZIP code; etc. Surveys: allows us to filter based upon completed survey results. Custom Fields: allows filtering based upon any Custom Fields we have input. Elections: allows filtering of voters who have raised an issue in the course of the campaign. Quite often, depending on the specific goal, using a Search or Filter individually may be the best course of action. However, by using the Search and Filter functions in tandem, we can access a highly accurate and detailed view of our constituents. Having completed a survey on whether or not voters wanted a new school in their area, we may perform a search to see if their is a geographic element to our voters opinions (and maybe even filter further to see any potential demographic aspects)Beyond allowing us to identify which voters support our stance, it would also allow us to reach out to those opposed. Perhaps they can be won over by our policy opinions on other topics relevant to their demographic?